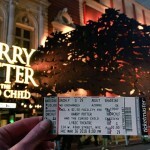 Harry Potter and the Cursed Child won three major awards at the U.K. Critics’ Circle Theatre Awards, which were presented at the Prince of Wales Theatre on January 31. Among the other talented recipients, Cursed Child’s John Tiffany won the award for Best Director, Christine Jones, who Leaky recently interviewed here regarding her work with The Ghostlight Project, won Best Designer, and Anthony Boyle, who plays Scorpius Malfoy, won the Jack Tinker Award for Most Promising Newcomer. Boyle was also recently nominated for Best Supporting Actor by the WhatsOnStage Awards. Both Tiffany and Jones have Tony Awards to their credit as well. The 22 year old actor had just finished drama school when he won the role as Draco Malfoy’s son in the Harry Potter play. 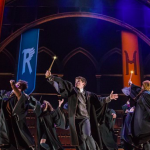 Congratulations to these “Stars” of Harry Potter and the Cursed Child! 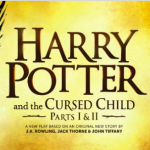 'Cursed Child' Actors Prep for Tony Awards!